'How To Use Half Ropes' is part of the e-book - Trad Climbing Basics. Half ropes (also known as double ropes) are thinner than normal 'single' ropes, and are designed to be used as a pair. Half ropes are marked by a ½ symbol on the end of the rope (a single rope will have a 1 symbol). Twin ropes are also available. BE CAREFUL! These are not designed to be clipped individually like half ropes. Instead, you must clip them both into the same carabiners as you climb. 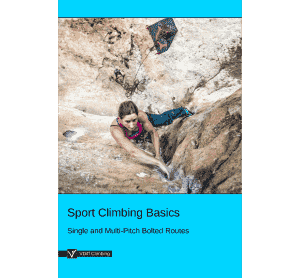 They're mainly used for ice and mixed climbing. 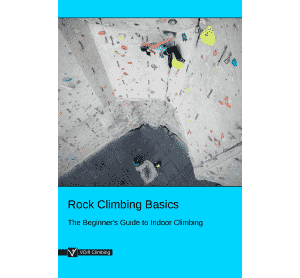 Different types of climbing rope are explained here. Tie in to half ropes just as you would a single, but with one rope on either side of your belay loop. 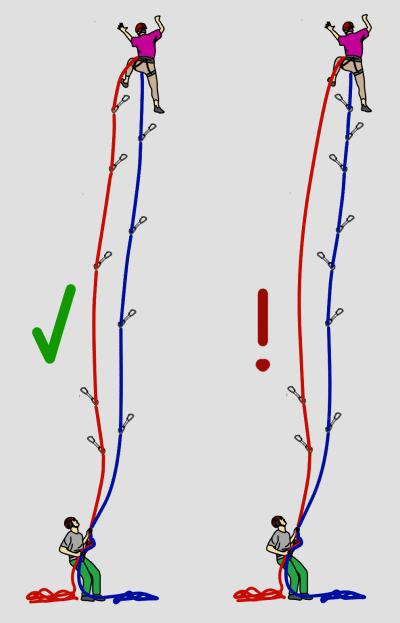 The left rope will be used to clip gear on the left side of the route, and the right rope is for gear on the right. On a traversing route, it's best to have an 'upper' and a 'lower' rope. 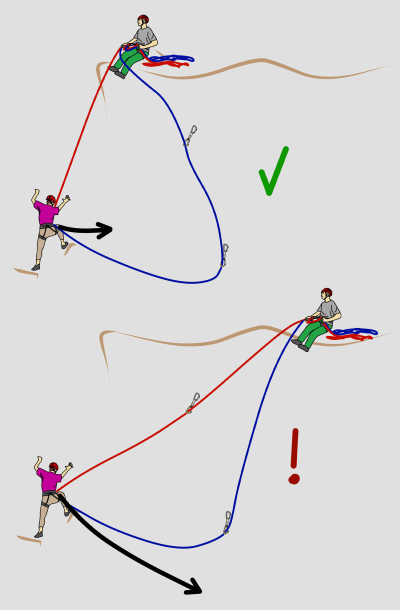 The upper rope can help protect the second from taking an enormous sideways swing. 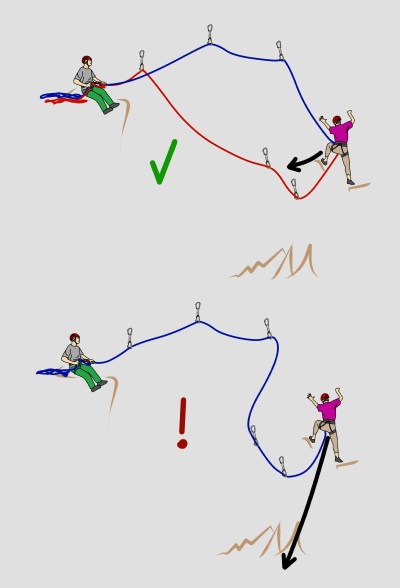 When there are sections of down-climbing, the second will often have worse fall potential than the leader. Plan ahead and place gear high on the upper rope to protect the second. 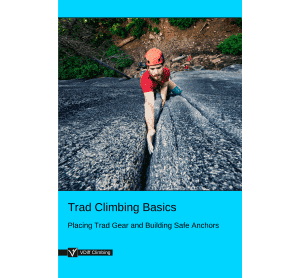 If there is a traverse to the belay, you can protect the second better by building the anchor above the middle of the traverse. 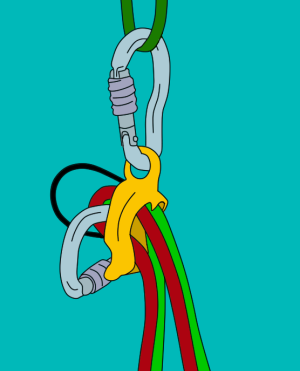 To belay with half ropes, you'll need an 'ATC style' belay device which has two slots in it. You cannot use a GriGri. You'll often need to take in or give slack on one rope more than the other to keep the ropes equally tight on your partner. 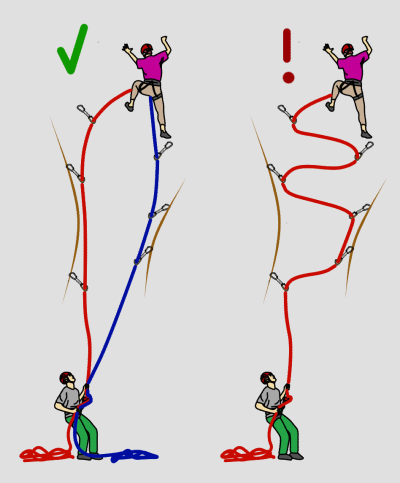 Simply go through the normal belaying motion, but hold one rope tight while letting the other slide through your hand. Obviously, never let go of either rope. 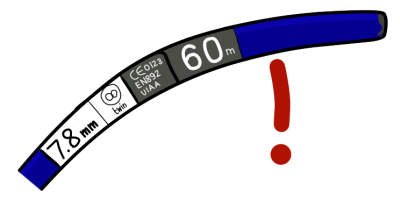 Another option is to use guide mode. Sometimes you'll need to feed out more slack on one rope than the other, as the climber pulls it up to clip. Once they've clipped one rope higher than the other, you'll need to take in that rope, while giving out slack on the other. This can be pretty tricky to do well and takes some practise. 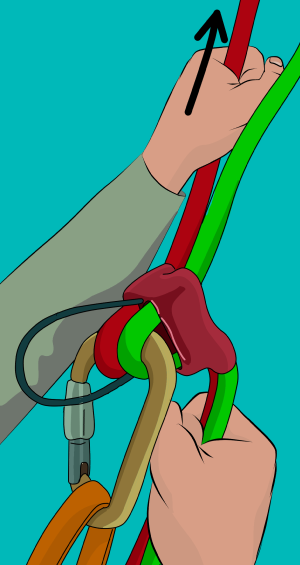 It helps to keep the two ropes separated in your hand above the belay device. Remember to keep hold of both of them together in your lower hand. Half ropes make building a gear belay much easier, as you can use both ropes to equalize yourself to the gear. Rather than having one central point that you tie into, you can have two, with one rope going to each. 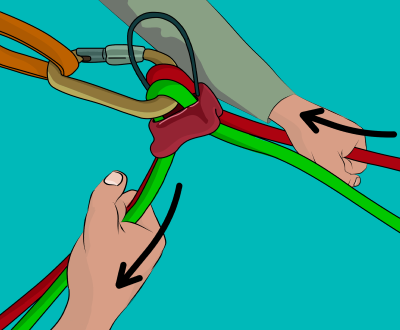 Use a clovehitch to attach yourself to the screwgate carabiner at each main point. Can You Fall on Just One Half Rope? There's no simple answer to this. 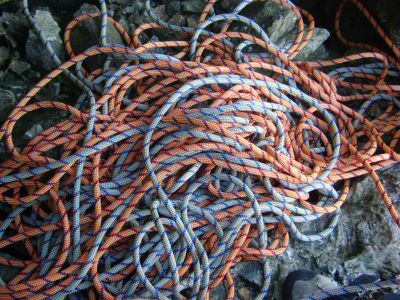 Half ropes are designed to be used together and are fall-tested by the UIAA with a smaller falling mass than for a single rope. The theory is that one rope will take most, but not all, of the force in a fall. In reality, all of the force goes on one rope if you fall. You should be very cautious of creating situations where only one rope would hold a large fall. 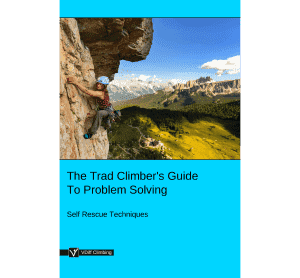 This situation would also reduce the redundancy that is inherent in half ropes on complicated terrain, where there is any risk of a rope being cut by a sharp edge. If you need to use half ropes 'separately' (e.g. 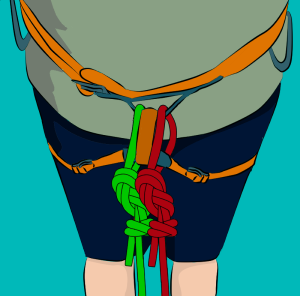 if you have to clip gear to one rope for the first half of a route and then use the other rope for the last half) you should consider using two single rated ropes instead of a pair of halves. We also recommend using two single ropes (instead of two half ropes) if you are climbing as a team of three. Some ropes are available that are rated as both a single and a half rope; a perfect compromise! For a single rope to pass UIAA testing, it must hold five falls of 80kg at a fall factor of 1.77. A half rope must hold the same five falls at the same fall factor, but only with a mass of 55kg. If half ropes are tested as single ropes (with the full 80kg), most hold between one and three falls before failing. This means that half ropes are safe to fall on individually. However, they shouldn't be relied upon to hold massive whippers. If you were to take a large fall on one half rope, you should retire that rope afterwards.